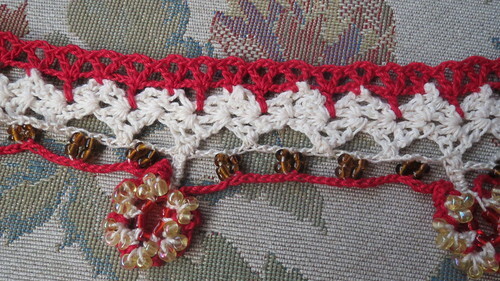 I have still been working on a few oya patterns still can't find the correct thread. So frustrating but I persist anyway. 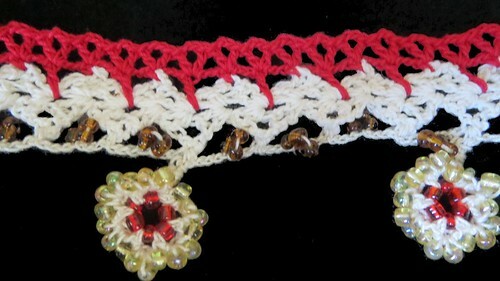 This is a daisy oya pattern that I added to a crocheted edging that my oldest daughter crocheted when she was 10 years old. 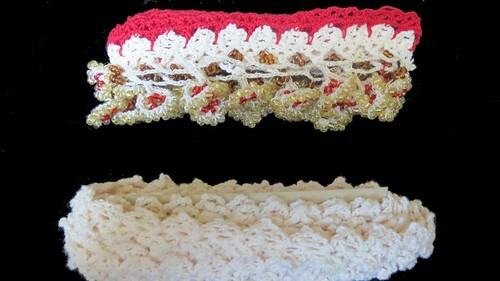 I still have about 4 .5 yards of that lace with out oya and about 3.5 yards of it with oya. This is in need of serious blocking. 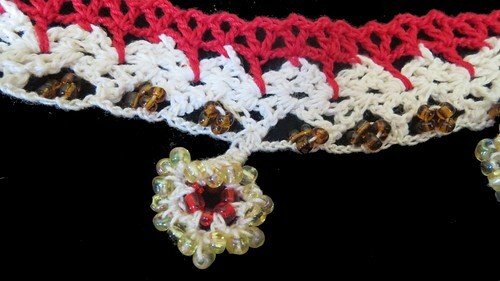 Yes I do see the mistake of attaching the beads as I go they need to be done first then attach to the item in question. It got a jimmy rig fix not traditional but nothing about this is so I will fix those types of things in the future when I find that box of thread nylon.